At The New Century School, field trips serve multiple purposes: They are valuable learning and social opportunities, and they are fun—important respites from the classroom. Field trips at TNCS are thoughtfully crafted to effectively support student learning by exposing them to new experiences, increasing their interest and engagement in a topic, and being memorable and useful even long after the visit. They give students both cognitive and affective benefits. They also got the chance to discuss owl adaptations with Ms. Roman in an engaging question and answer session. Some of their contributions are positively brilliant! The culminating activity, though, was dissecting owl pellets. Owl pellets are the regurgitated remains of an owl’s meal, including all the bones of the animals it ate (usually small rodents, such as voles). Owls typically swallow their food whole, digest the edible parts, and then expel the indigestible parts through their mouth as a pellet. Owl pellet dissection is a great way to learn about owl eating habits. Naturally, some students were a bit leery of this “gross” activity at first, but curiosity gave way. (And, no worries, parents—the pellets are sterilized in an oven to kill bacteria, and students wore gloves during the dissection and washed their hands right after.) Irvine instructor Diana Roman facilitated. Here again, the research was “hands on,” as students dissected a squid. 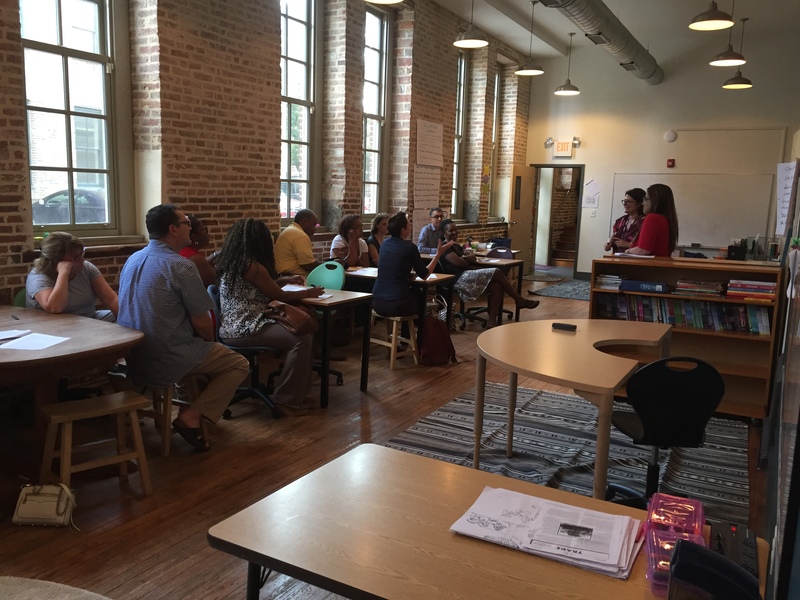 TNCS’s Annual Elementary and Middle School Back-to-School Night: Your Source for Need-to-Know Info for the 2018–2019 Academic Year! Now that summer has unofficially ended, and school is back in full swing, The New Century School kicked off the 2018–2019 school year with its annual Back-to-School Night. The focus of the evening was to meet your student’s teachers and to present the student’s daily schedule, a curriculum overview, and school policies. In other words, students have had 2 weeks to acclimate—now it’s our turn! As TNCS enters its 12th year, it’s worth noting how the school and its programs have expanded and grown to what they are today. Changes each year are inevitable, but TNCS has stayed true to its identity and has successfully weathered those changes, transforming would-be obstacles into opportunities and growing the student body to more than 200 children, 117 in the preschool and 88 in the elementary and middle schools. An overview of tips and policies is given here, and specific documents can also be downloaded at the links provided at the end of this post as well as from the TNCS Parent Hub. Welcome to Some Great New Enhancements! The evening began in the gymnasium of building north with Head of School Shara Khon Duncan warmly welcoming parents, new and old: “It’s nice to see all of your faces again—welcome,” she began. She next introduced teach ers, who then returned to their classrooms to prepare for the group breakouts by division. Sra. Duncan then addressed the parent audience and presented some important school year expectations. Just a few things before we get started—that you’ll probably hear the teachers reiterate because these things are really important. First arriving on time to school is very important for all of our students. It gets the day started right, it helps the students feel that they are coming in and ready to go. So, please, as much as possible, arrive on time. That includes preschool. We have to get them modeled right from the beginning. I know from experience how hard it is to get out of the house—I had two girls who did not want to cooperate, so I totally get it. Next, be sure that when you pull up into the carline rectangles at drop-off and pick-up times that you are actually in the lines and not blocking the crosswalk, so that walkers can cross safely. Also do not walk anywhere but the crosswalk for everyone’s safety. Again, we’re trying to model as best we can what we want our children to do. Another thing I’d like you to remember is that you have been sent the Parent Guide by Admissions Director Mrs. Sanchies, which is a fabulous resource that breaks down all the essential things you need to know—such as signing up for before and after care or school lunch, what happens when it snows, and so on—so please refer to that often. You also should have received the Family Handbook, so please take some time to look through it and sign the second page. Yet another exciting new thing this year is that, in addition to receiving weekly emails from your child’s homeroom teacher with pertinent information about what’s going on in the classroom and what’s coming up, we’re moving toward implementing software called Sycamore that will allow teachers to have class web pages. This will be very easy to log in to and use to see class-related information. The weekly emails will be sent every Friday around 5; emails about specials will be sent every other week. Finally, please remember that we are a nut-free school and are also committed to having a sugar-free environment. So when it comes time to celebrate birthdays, for example, please make sure that you talk to the teacher ahead of time and discuss what kind of treat might be appropriate. With that, have a lovely evening and a great year! Once the initial introductions and welcome message concluded, parents moved on to spend time with their child’s teachers. This was the opportunity to learn about what the school day looks like, what the educational goals are for the year, and what the specific class-related expectations are of both parent and child. Upper Elementary and Middle School was jointly hosted by veteran Math and Science teacher Nameeta Sharma and veteran English language arts and Global Studies teacher Ilia Madrazo. Ms. Madrazo handled many of the practical details, reminding families of the importance of being on time. Class begins promptly at 8:25 am with key information and planner assignments, all things you don’t want your child to miss. She promised parents that any questions or concerns about anything going on in the classroom would be responded to within 24 hours. She also went over the handout that enumerated class and school policies as well as gave a deeper dive into each subject’s curriculum. First up, the fun stuff! New art teacher Jia Liu will be profiled in an upcoming Immersed “Meet the Teacher” post, and art happens twice weekly. Students also have music taught by the illustrious Martellies Warren twice a week. Physical education now includes 1 day of teacher-led PE consisting of yoga, plus 1 day of regular coach-taught PE each week. Teacher’s Choice is also now considered a once-weekly special, and this 45-minute block can be used for exploring a topic students want to learn more about, an activity the class collectively would like to pursue, or anything different from the usual academics, explained Ms. Madrazo. This might even be making a fun visit to the Ozone Snack Bar! Speaking of “the ‘zone,” students can also visit the snack bar housed in the second-floor Union Box space of Building North, from 8:10 am–8:25 am on Tuesday and Thursday mornings starting the week of September 10th. Teachers will have sent permission slips that allow parents to set a spending limit for their children as well as opt for cash payment or convenient billing through FACTS. Li Laoshi will supervise these morning visits. At least four trips are planned this year (at least one per quarter). Parents–chaperoning field trips is a fantastic way to not only experience a fun trip with your child but also to rack up some of the obligatory 10 volunteer hours! This quarter, a trip to the Irvine Nature Center is scheduled (9/17). Next up, the ever-popular National Aquarium! Successive trips will be announced as they are confirmed. Ms. Sharma took over to explain the math curriculum. “We have four rotations,” she explained. “Students will work on the computer on Success Maker, in small groups playing math games, independently in their workbooks, and one on one with me.” The primary resource is Singapore math, which returning students are already very familiar with and probably worked with over the summer to stay in practice. Middle school students will use the Go Math curriculum. TNCS students may also once again opt in to participate in the Math Kangaroo competition in March—TNCS’s third annual! ELA uses the Daily 5, which consists of: Read to Self, Read to Someone, Listen to Reading, Work on Writing, and Word Work. The major science themes throughout the year that will guide learning and understanding will include Unit 1: Macrobiology and Genetics, Unit 2: Engineering, Unit 3: the Scientific Method (Science Fair), and Unit 4: Astronomy and Weather. Interdisciplinary learning is a big part of TNCS’s approach, so ELA and world language reading will routinely relate to science and global studies units. Spanish learning will be taught through the use of different games, dances, and songs. I was born in Chile, and this is my third year as lead Spanish teacher,” said Sra. Sanzana. “Spanish class is a little bit of everything—grammar, culture, vocabulary, talking, reading, and listening,” she said. As in other subjects, teaching is differentiated. “I divide students into groups based on levels after making a differentiation plan for each child,” she explained. 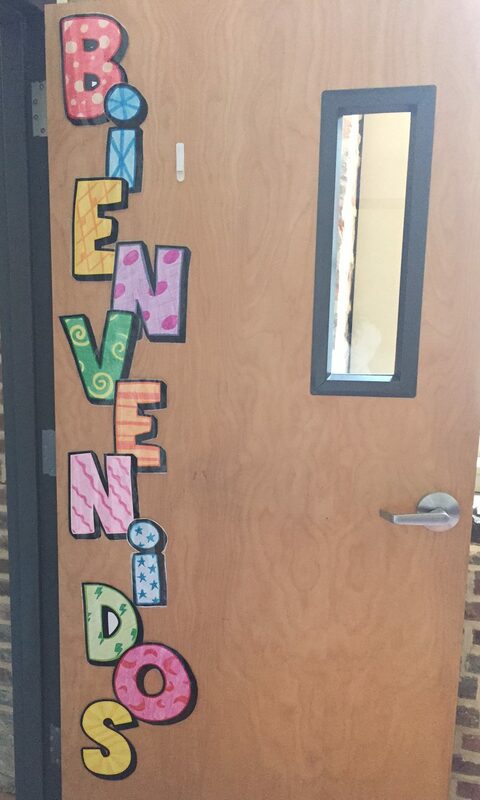 “Don’t be afraid of whatever comes; I will be here helping them.” Note that, as TNCS has evolved, Spanish class now happens daily, with Friday being reserved for fun and games in Spanish. Spanish class will adopt a Daily 4: Read to self, read to each other, independent work in their folders, and work with the teacher. Reading comprehension will be a big emphasis. A big addition this year for students who are ready for it will be writing 100-word essays in Spanish. For everyone, learning by teaching will be introduced—the big kids get to read to their smaller compatriots in Spanish and work with them on vocabulary and so on. “They will become the teachers,” said Sra. Sanzana. “They will solve their own problems to do so, such as figuring out how to pronounce an unfamiliar word.” This idea was happily embraced by parents, who well know the benefits of this popular TNCS approach. Li Laoshi believes Mandarin Chinese is best learned through pursuing various real-life activities that connect to what lesson is being taught. “I really believe that interest is the best teacher,” she explained, “so we cook, do calligraphy, go on trips, and other do other activities that the students really enjoy.” Project assessments are mainly performance based—in other words, she wants to see her students successfully using their Mandarin skills. Like Spanish, Mandarin class now happens daily. Li Laoshi got big laughs when she suggested that parents allow themselves to be interviewed by their students as part of homework and thereby begin to pick up some Mandarin themselves! Around the room, parents began counting to themselves (“yī, èr, sān, sì, wǔ, liù, qī , bā, jiǔ, shí . . .”), rightly proud of their Chinese prowess! She suggested the websites Hello World for beginners and Duolingo for other students to get further practice at home. Students will be assessed the traditional way (pencil and paper); however, the main approach of assessment will be performance based. For every new unit, formative assessment will be used daily and summative assessment will be used at the end of each unit. Students are expected to record their homework assignments each Monday in their planners, but please check that they are doing so. Students are expected to complete this work independently with minimal support as needed from parents. This is key—helping your child to an extensive degree will not show teachers where and how they need to adjust assignments and better meet students where they are. After care participants are given time to complete homework as well as as-needed support from Sra. Sanzana. Your child’s teachers are flexible. If a student needs more time to complete an assignment well, communicate this, and teachers will work with you to accept it the following Monday. 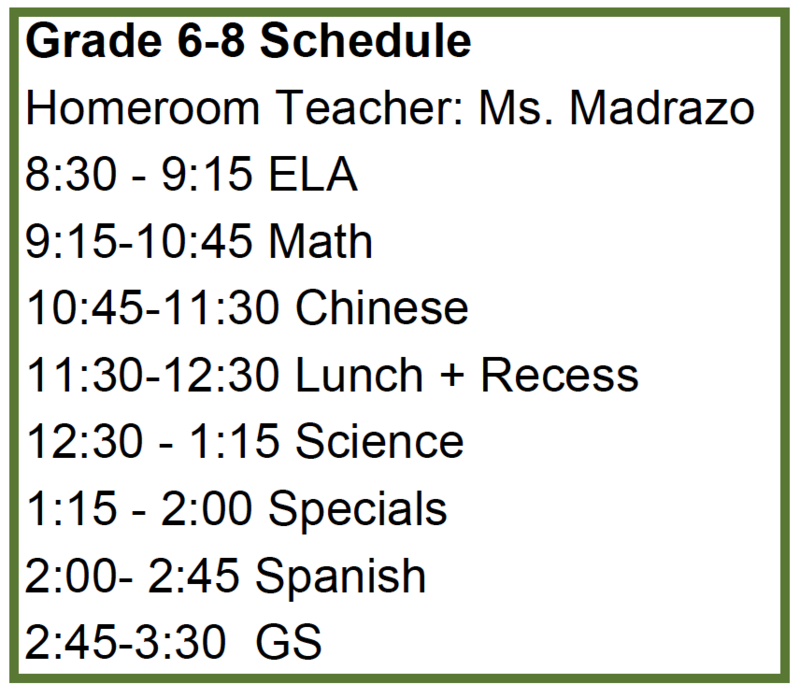 Mandarin and Spanish alternate weeks for elementary students, whereas middle school students should expect weekly Spanish homework. Additional Internet research may be assigned when pertinent to, for example, specific global studies or science lessons. To great applause from parents, weekly science homework will not be assigned, however. Altogether, weekly homework assignments should take about 2 hours or less, depending on division, apart from daily reading and writing and any music practice (if your child takes instrument lessons). Math: Homework will consist of ~30 minutes per week of problem solving or Workbook completion (translating to four pages in the workbook for 4th- and 5th-graders and two or three for 6th- through 8th-graders). English Language Arts: Each week, there will b e one lesson (~30 minutes) in Wordly Wise per week, which includes a list of vocabulary words to know, and various assignments to complete. 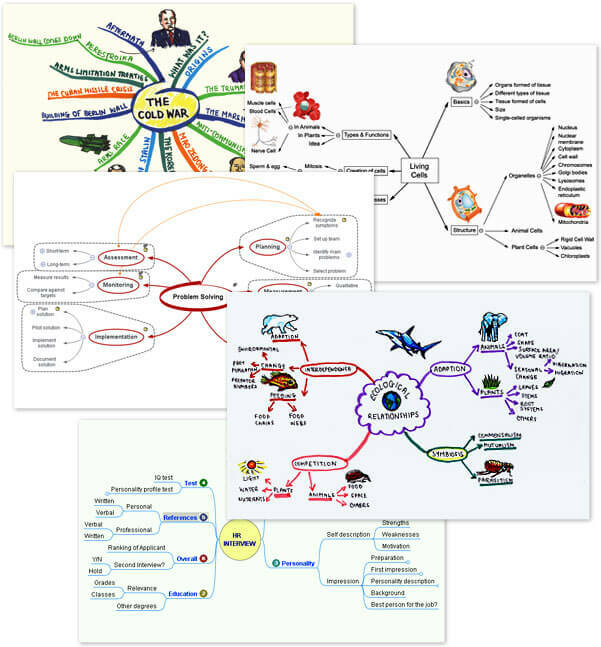 In addition, this year, students are expected to spend 20–30 minutes reading independently and at least 10 minutes writing (or mind-mapping, which is a critical part of the writing process) every day. Daily writing should be in cursive and in pen; students will have been given prompts from Ms. Madrazo or can free write. Journals are provided, but separate sheets of writing are also acceptable when a student forgets to bring the journal home. Spanish: Grades 4 and 5 will work on a small packet the 1st and 3rd weeks of the month; 6th- 7th, and 8th-graders will have homework weekly. Homework will be reading-comprehension based. 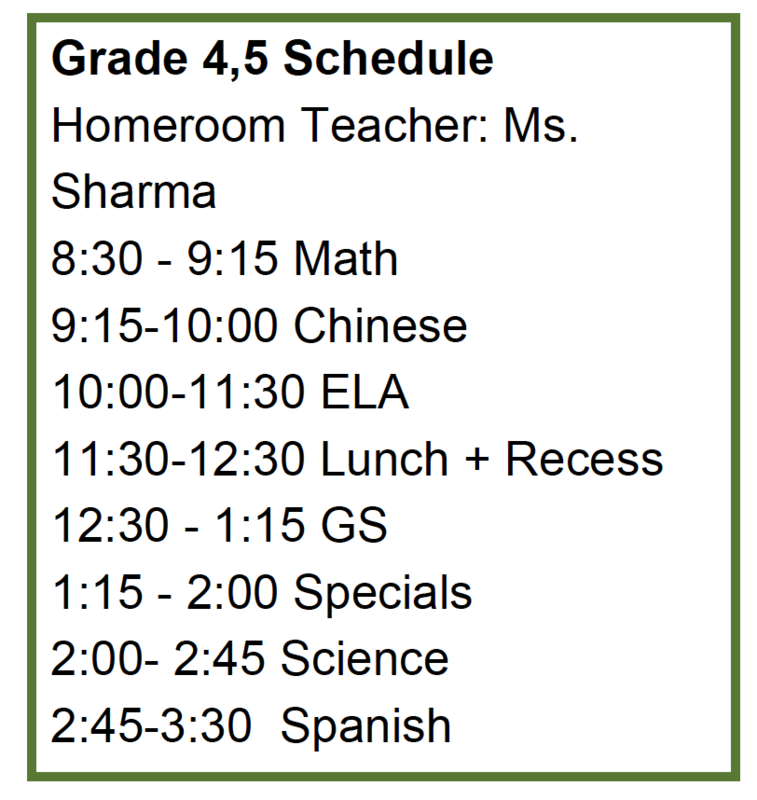 Chinese: Grades 4–8 will work on a small packet the 2nd and 4th weeks of the month. Although BTS night is over, know that teachers and administration are always readily available to answer any questions regarding your student’s development. Also know that you’ll be meeting teachers new to TNCS in Immersed profiles throughout the coming year as well as hear more from staff and administration who are adopting new roles and taking the school in new directions. Finally, expect to hear more about forthcoming parent volunteering opportunities and service learning initiatives. Stay tuned! Meet the Teacher: Jon Wallace Joins TNCS! The New Century School opened a 7th grade for the 2017–2018 school year, cause for both celebration as well as a tinge of wistfulness, as we watch TNCS”s oldest students enter adolescence. Brushing aside its poignancy for a moment, this fact meant that TNCS’s science program also recently underwent some important growth and development. Jon Wallace took over as school-wide science director and lead science teacher for Grades 3 through 7 this year. Let’s meet him! Originally from Wheaton, MD, Mr. Wallace now lives in Linthicum but has lived all over the country at different points. “I’ve had a lot of different jobs. I’ve worked everything from bicycle mechanic to fast food. It’s fun to travel to different places and just live in different areas. I’ve lived in Arizona, Montana, Texas, and a few others,” he said. He graduated from Towson University with a degree in Psychology but teaching runs in his family. His father was a professor of English and Accounting for 19 years at Montgomery College and his older brother is a professor in Texas. He explains that what really got him into teaching, though, was witnessing am 8th-grade physical science teacher do his stuff. He was working at Shepard Pratt Hospital at the time and got to see the teacher there in action. “I really thought it was interesting. My family had always seemed to shy away from sciences,” he said, “but it fascinated me, so I went back to school to get certified and started working at Shepard Pratt as a high school teacher.” He also has experience teaching at an independent school for 3 years in Potomac, MD as well as at Cherry Hill Elementary and Middle School here in Baltimore City. His goal for TNCS is mainly to fortify the already-robust science program. He is excited about this, knowing how eager the “knowledge-hungry” students are to explore science concepts. Quarter 1 was dedicated to electricity (static and current) and magnetism. Older student objectives included being able to explain how stereo speakers and DC electric motors work to gain solid understanding of the relationship between electricity and magnetism as well as to become familiar with Ohm’s law (the current through a conductor between two points is directly proportional to the voltage across the two points). All students studied parallel and series circuits and were expected to understand and be able to define voltage, amperage, and electrical resistance. Noting how advanced both the reading and math programs are at TNCS, Mr. Wallace feels that his students will readily manage commensurate science instruction. “You know when 3rd-graders are doing long division, they’re already beyond where they should be. Likewise, readers are testing off the charts,” he observed. In keeping with TNCS’s fundamentally inquiry-based approach, weekly science homework involves Internet research, coupled with writing. In the classroom, although until now he had never taught students younger than those in 7th grade, he is learning new ways and new materials to teach. He is also adapting well to the mixed ages in each class and to differentiating their instruction. Also helping Mr. Wallace adjust to his younger students is that he has two sons ages 8 and 9 years old. He spends his weekends mountain biking with them. “We’re a big biker family,” he says. In closing, he said: “TNCS is the most diverse school that I’ve ever worked at. Seeing students speak in different languages is really impressive, and I think it’s giving these kids an advantage over most students their age.” He also wants parents to know that communication between home and school is important to him, as it will facilitate learning. “If you have any comments or questions that you think would help me with your student, please let me know,” he said. 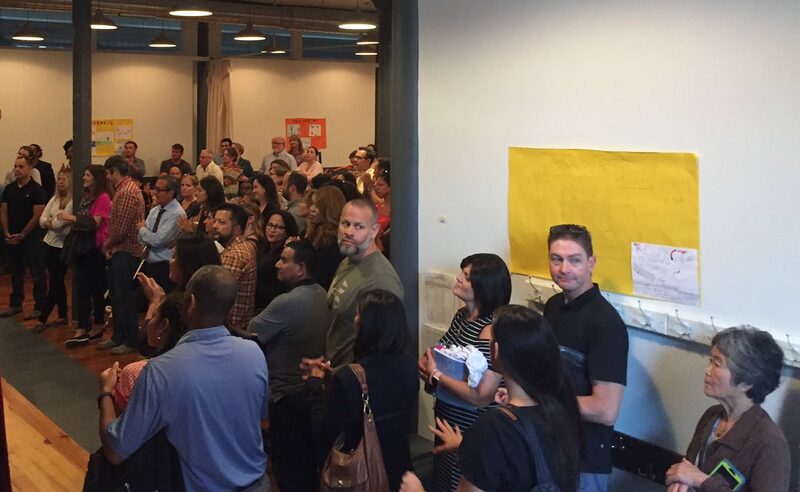 TNCS’s Annual Elementary and Middle School Back-to-School Night! Now that summer has officially ended, and school is back in full swing, The New Century School kicked off the 2017–2018 school year with its annual Back-to-School Night. The focus of the evening was to meet your student’s teachers and to present the student’s daily schedule, a curriculum overview, and school policies. The evening began in the gymnasium of building north with Head of School Alicia Danyali warmly welcoming parents, new and old, and introducing TNCS’s teaching staff. “They make the school an amazing experience for the students everyday, with their nurturing and professional expertise that enables a professional learning community,” said Mrs. Danyali. She also reminded the packed audience about the school’s Core Values. As the school’s foundation, these values of compassion, courage, respect, and service are displayed throughout the school and emphasized daily by all at TNCS, as well as during classroom lessons, assemblies, and restorative circles. This is my 15th year teaching, 13 in private, and 2 in public recently. I’m very happy to be here with this amazing bunch of students who are all so diverse, and it’s wonderful working with the parents. I became a teacher because I really enjoy seeing the students learn. It’s a great thing when you see the light bulb go on. When I child first realizes a concept or becomes good at doing something, learning skills, to see that happen is just amazing. I come from a family of teachers and I’m working hard to give the students the best education I could possibly give. I’ll be here early, and I’ll be here late to try and give the best to your children. Sra. Cabrera handled many of the practical details, reminding families of the importance of being on time. Class begins promptly at 8:25 am with key information and planner assignments, all things you don’t want your child to miss. “Check the planners and make sure to sign them. You will receive four quarterly report cards, we and will have two parent/teacher conferences, one in November and one in February. We are always available to meet with you and discuss anything you want,” she said. A deeper dive into each subject’s curriculum followed. New art teacher Eunhee Choi made a cameo appearance (she had several classrooms to visit) and told the group, “I was born and raised in Korea—South Korea,” she clarified, to audience laughter. “I’ve been teaching 17 years. I’m very happy to teach here, I feel very comfortable in this school,” she finished. Students have music, physical education, and art twice a week. In spelling, Wordly Wise 3000 and Spelling Workout will be incorporated. Wordly Wise 3000, focuses on improving students’ vocabulary by furthering their understanding of new words and concepts. Spelling Workout is a more traditional spelling program to help improve on identifying spelling patterns. “Our goal is to focus on vocabulary development, which will enable students to read increasingly challenging texts with fluency and improve their chances for success in school and beyond. Spelling will be focused on helping improve student writing,” explained Mr. Wallace. The major science themes throughout the year that will guide learning and understanding will include electricity and magnetism, chemistry, the Scientific Method (Science Fair), and oceanography. In math, students will work in small groups and independently everyday as well as do Khan Academy—the Daily 3. “They will do different math games and once again participate in Math Kangaroo, said Sra. Cabrera. “We will practice these problems in class and continue to use Singapore math. I will work with them in small groups mostly. I think it’s better to help them gain confidence.” Middle school students will be introduced to the Go Math curriculum. As for language immersion, we are fortunate to have two wonderful, enthusiastic teachers in Wei Li, Mandarin, and Fabiola Sanzana, Spanish. Chinese will be learned through various activities and projects with assessments being mainly performance based. “Better Chinese will continue as our backbone curriculum as well as our Daily Four,” said Li Laoshi. In Daily Four, students are divided into small groups and use different levels of books according to their language proficiency. The students rotate among the four centers, which are meet with teacher, computer, reading, and games. “Friday will be the weekly Activity Day featuring various activities that integrate Chinese culture, such as calligraphy, Tai chi, Kung Fu, Chinese games, and cooking Chinese food,” she continued. Students will be assessed the traditional way (pencil and paper); however, the main approach of assessment will be performance-based. For every new unit, formative assessment will be used daily and summative assessment will be used at the end of each unit. Chinese: Grades 3–7 will work on a small packet the 2nd and 4th weeks of the month. Spanish: Grades 3 and 4 will work on a small packet the 2nd and 4th weeks of the month; 5th- 6th, and 7th-graders will have homework weekly. Math: Homework will consist of 15 minutes of problem solving or Workbook completion. Language Arts: Each week, there will be one lesson in Wordly Wise, a list of vocabulary words to know, and various assignments to complete. Although BTS night is over, know that “teachers and administration are always available to answer any questions regarding your student’s development as we partner throughout the school year,” as Mrs. Danyali put it. Also know that you’ll be meeting teachers new to TNCS in Immersed profiles throughout the coming year as well as hear more from staff who are adopting new roles and taking the school in new directions! Stay tuned! Here are links to other elementary classroom BTS Night handouts for your convenience.